Today we’re going to look into a new concept backed by Google, progressive web apps, and how they compare to mobile apps that we all know and use. 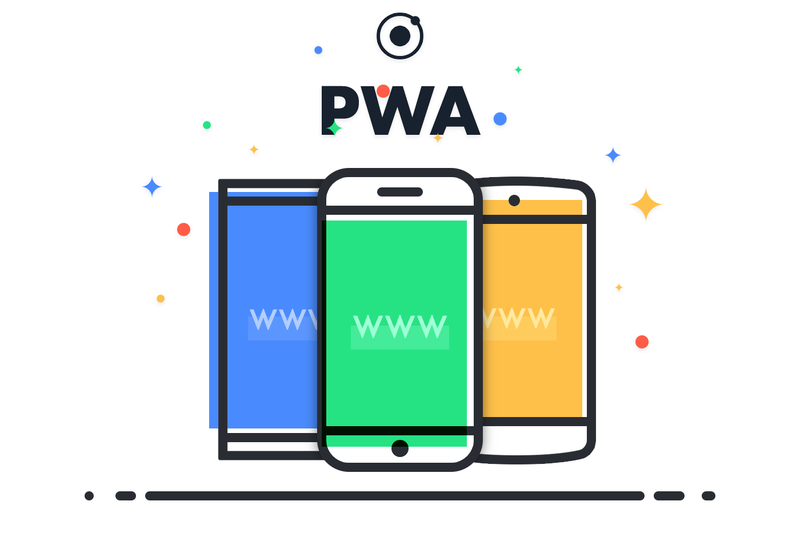 It’s important to realize that a progressive web app is something that runs on websites, meaning that it is possible for webmasters and developers to create something that looks like, and feels like a mobile application, but without the need to submit it to the app stores and wait weeks on end for approval. On the other hand, when discarding a natively developed mobile app, the PWA will not exist in the app stores of and therefore not attract visitors that otherwise would have seen the mobile app. Because of this, each individual business and website will have to assess what technology to develop for, or perhaps even choose both. Because the two technologies are not mutually exclusive. In fact, most people would argue that to provide the largest number of users with the best possible experiences, both technologies are in fact necessary. Not everyone enjoys going through Apple’s App Store, or Google Play to download a few apps, just like not everyone feels like opening their browser on their phone, when they could just open the app store directly. And it’s not just procuring the apps that are playing a part in choosing what technology to go with. There are other benefits and disadvantages to be aware of, such as what users and devices each technology supports. Above are some of the key differences between the two systems, and should help anyone in determining whether there are any glaring holes or lack of features that makes one or both of these technologies obsolete in terms of a specific project. We’ve spoken to Malthe Kringelbach Iversen from Nodes, a leading European app development agency to get his opinion on what mobile apps have to offer that progressive web apps doesn’t. One of the key features is that we develop mobile applications on the platforms they’re meant to run on. Unlike a PWA which only works on some browsers. You can sort of compare this to a one-size fits all blazer. While it might work OK for most body types, it will rarely look perfect. A mobile app on the other hand is more like ordering a custom tailored suit, meaning that you get the exact measurements and specific features that your specific project requires. We’ve also been in touch with Louise Jensen, Key Account Manager at PWA.co – the only Danish company currently offering progressive web app solutions. The entire notion of comparing mobile apps with progressive web apps is somewhat difficult, but the main difference for us lies in the amount of hardware features a given project requires. Most things that a mobile app can do, a progressive web app can do just as well if not better. They also achieve far better performance, and even conversion rates have been shown to be in favor of PWA’s. We sometimes have to decline project requests when the client wishes for extensive fingerprint scanning or other complex hardware solutions that are currently not enabled by HTML5 technologies. The general trend tends to be leaning towards hardware being the determining factor. Since most of the features are comparable, browser support and hardware access are the two outliers, meaning that the dividing line is quite narrow, and often results in a blurred one. By going with the way of the popular vote, one could argue that mobile applications have the dominant market position, and thus would make more sense from a proven point of view. Do You Know How To Manage Your Online Campaign?